Looking for another personal touch to add to your baby’s nursery? 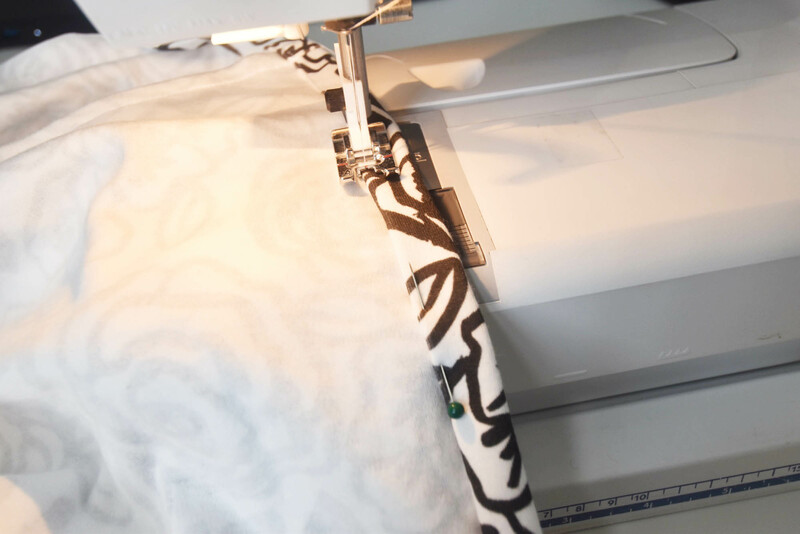 The Style Safari is back to share an easy DIY tutorial for handmade linens that are a completely customizable option when choosing from over 650,000 designs in the Spoonflower Marketplace. The best part about Stefanie’s project is that you’ll be able to complete your crib sheet in under and hour which means more time with baby! 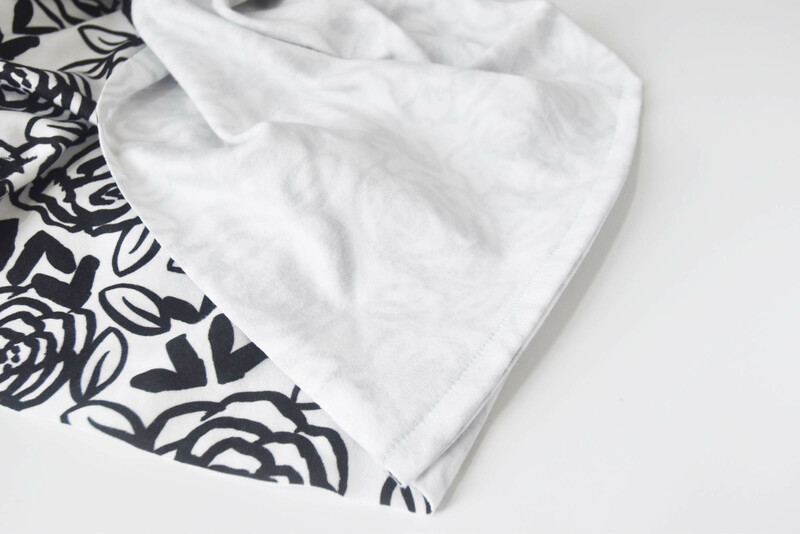 Stefanie: I am loving high contrast black and white as I know it’s easier for newborns to see, so I thought I would pick a pattern that would mesmerize her! Cut your pre-washed fabric so it’s 45” x 69”. 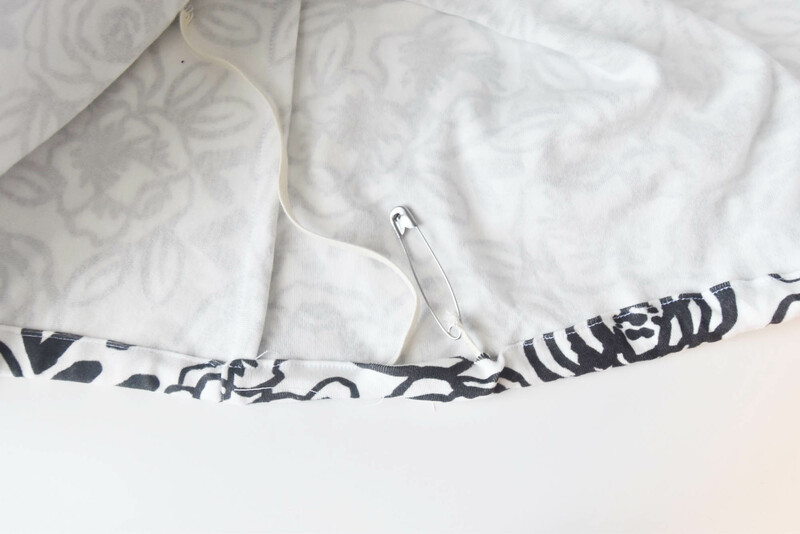 If you chose a knit to make your sheet, it may have shrunk to less than 69” – this is not a problem as the fabric will still stretch over the mattress. Cut out 8” squares out of each of the 4 corners, and pin the WRONG sides together on each corner. In order to sew a clean french seam, sew each corner together first with the wrong sides facing (pattern side out) with 1/4“ seam allowance. Trim to 1/8“. Turn the sheet inside out and sew another 1/4“ seam on all 4 corners with the right sides together, enclosing the previous seam line, so there are no raw edges. 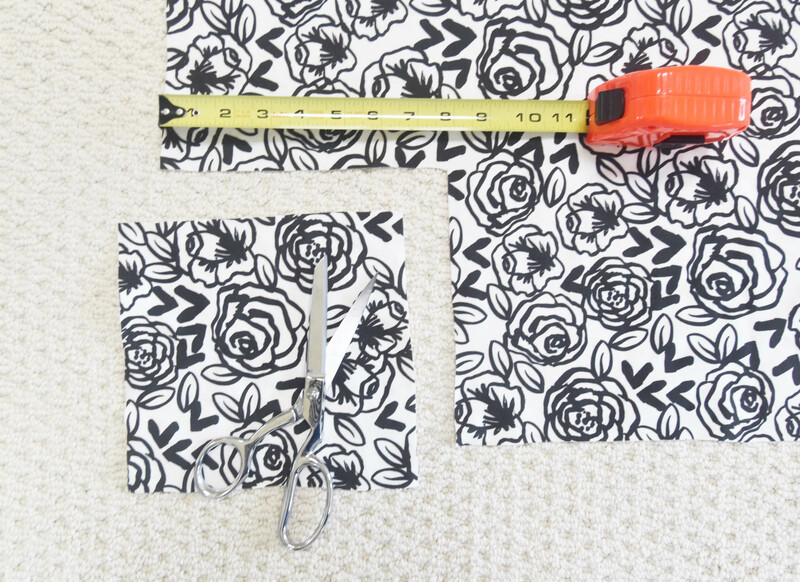 If you chose a woven fabric, fold and press the hem of your sheet up 1/4“. 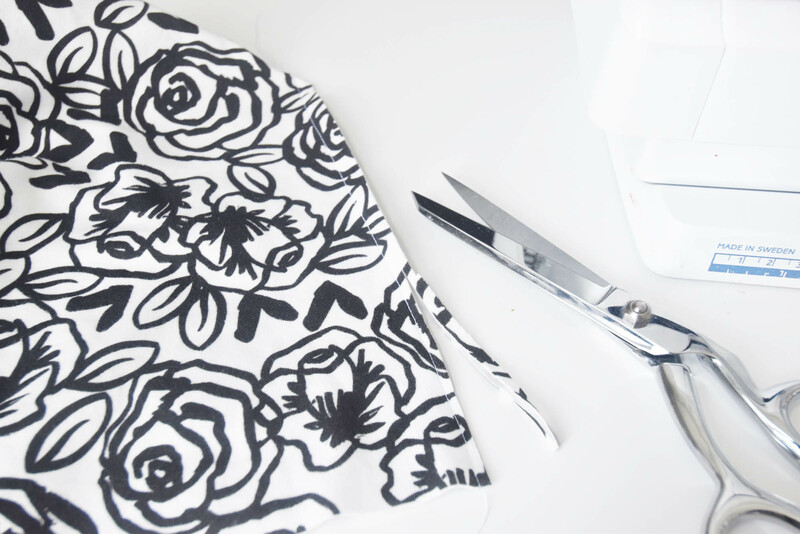 Then fold and press up to 1/2“ to create a casing for the elastic. For a knit, pin the double fold instead of pressing. Sew around the edge of the fold, leaving a 2” opening. 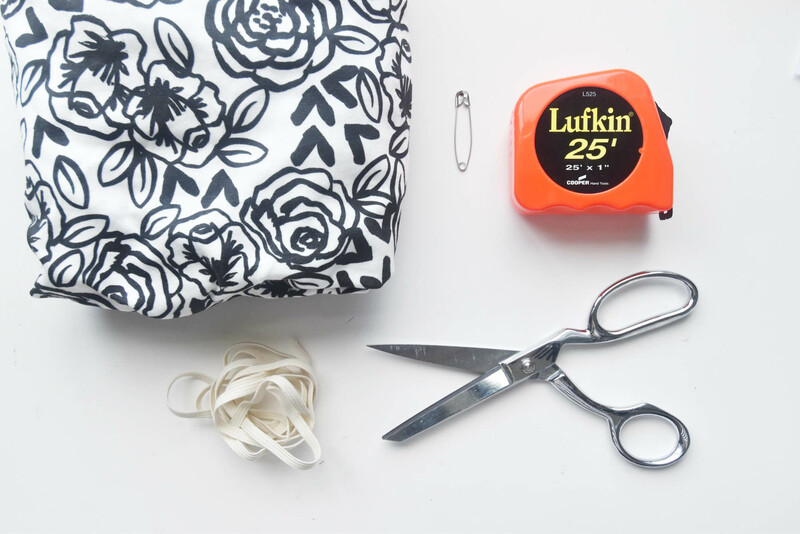 Cut your elastic 64” long and attach a safety pin to one end, feeding the elastic through the entire casing. Hold on to the end to make sure you don’t lose it as you pull the elastic through. 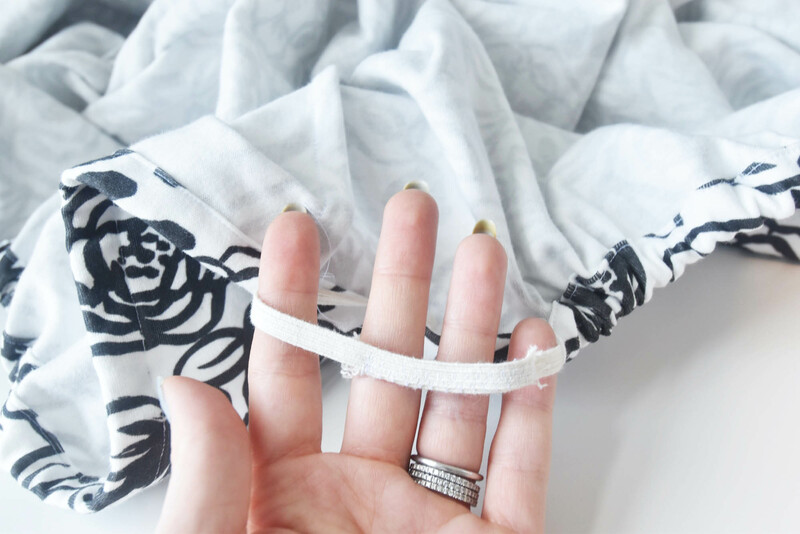 Overlap the elastic by 1-2” and using a zig zag stitch secure the two ends together. Sew up the 2” hole in the casing and admire your work! We’d love to see your version of the crib sheet! Be sure to snap a pic so we can see what designs you chose and use #spoonflower and #stylesafaribaby! 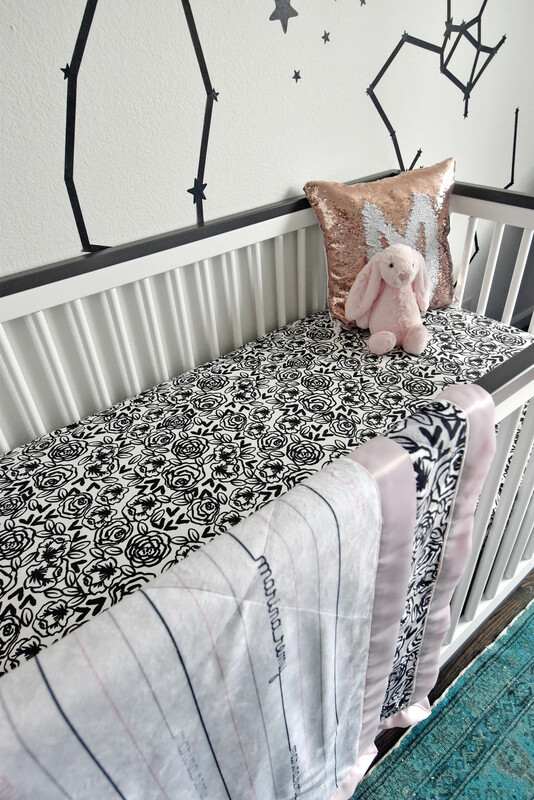 Want to add another personal touch to your nursery but you’re tight on time? 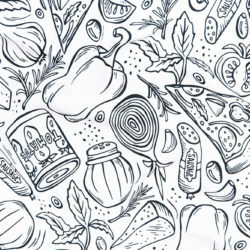 Skip the DIY and let Roostery help with a custom pillow featuring your favorite Spoonflower design. I’m a newbie to sewing! 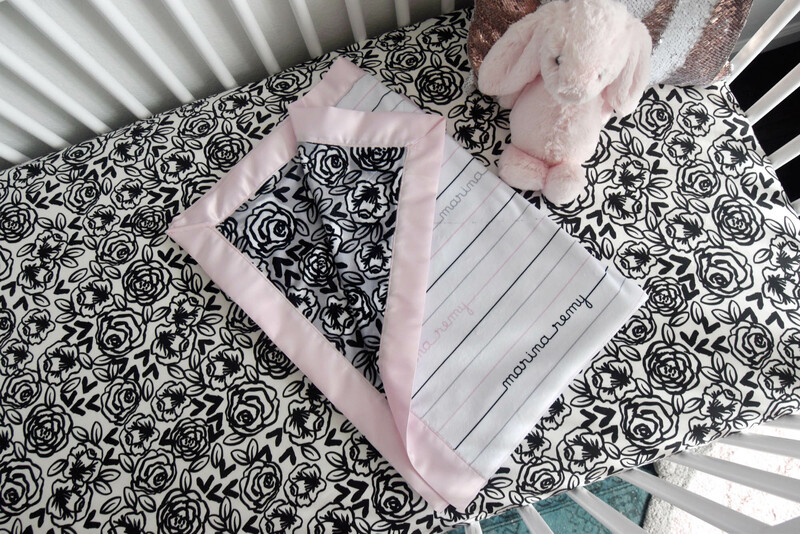 I’ve been looking for videos forever on how to make your own crib sheets! So with that said, So it’s a little confusing when you say to pin the WRONG sides…. what does that mean? Is there a video perhaps?! 🙏🏻 Thank you! 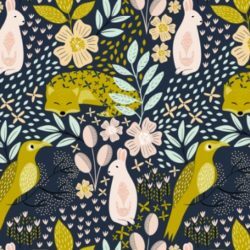 Spponflower fabric is only available in 42\” width which doesn\’t work for typical crib sheet patterns that I have found. It a major bummer because I would love to order from them. Our fabrics range from 42″-60″ depending on your final fabric base. You can view all of our fabrics and their specific widths here. 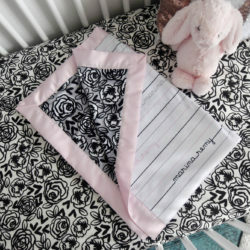 Stefanie used our Organic Cotton Knit for her crib sheet which has a set width of 56″.